Located on 31 de agosto, one of the most popular streets for pintxos in San Sebastián’s Old Town, this is a traditional bar with a history spanning more than 70 years. 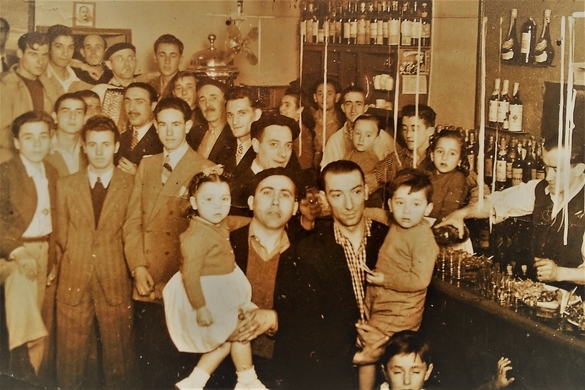 It was inaugurated on May 13, 1942, by Manuel Martínez and Juliana Gil, who were pioneers in the creation of many of the pintxos and proposals that we find today in Donostia bars. From the classic Gilda, which was first served in the 1940s, to the more recent tuna served with onions and a marmitako puree, Bar Martínez is a clear example of the fusion of tradition with modernisation, offering pintxos and speciality dishes to suit all tastes. Its 9-metre-long bar offers a spectacular visual which has turned it into one of the most renowned pintxo bars in San Sebastián. There’s no secret , just quality raw material, tasty proposals and dose of sweetie. If you're searching for legendary gastronomy with quality and flavour, Bar Martínez is one of the few pintxo bars in Donostia-San Sebastián which preserves the true essence of the local food culture.